Pretend for a minute that Hillary was not as accepting of Bill’s infidelity as she appeared to be. What issues would arise in the divorce case of Clinton v. Clinton? Editor’s Note: The purpose of this exercise is not to discuss political issues or depict the Clinton marriage with any degree of accuracy. The purpose is to discuss the legal issues involved. Under the laws of most states, the court is to consider the contributions each party has made to the earning capacity of the other party. From Hillary’s point of view, she gave up her lucrative partnership at the Rose Law Firm to become First Lady. From Bill’s point of view, he was the one elected President of the United States, and it was his accomplishment that make Hillary’s future income possible. While Hillary undoubtedly sacrificed income, her earning potential is likely greater than it would have been without this sacrifice, considering future speaking engagements, book royalties, and her possible future position as Junior Senator from New York. Bill’s future income is limited to his pension, his fees for speaking engagements, and book contracts. Although it appears that Bill has a case for maintenance from Hillary, maintenance for men is still relatively rare. Further, Bill, as one of the youngest ex-Presidents ever, probably has a greater future earning potential than we can foretell. Consequently, because both parties have good earning capacities, certainly enough to be self-supporting, maintenance will likely not be awarded to either party. 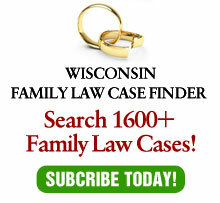 Most states’ divorce statutes provide that the court may consider any agreement the parties may have reached before or during the marriage whereby one spouse has agreed to forgo career opportunities in order to stay home to care for the children of the parties. In most marriages, of course, the parties reach agreements on roles, including income-producing responsibility. The most common agreement is regarding child-rearing responsibility. The wife claims, for example, that the husband agreed that she should stay home and raise the children. Although Bill and Hillary did not enter into a formal, written contract as it relates to marital contributions, Hillary did leave a very lucrative position to become First Lady. Accordingly, Hillary should argue that, in the event she cannot find suitable sources of income, Bill, at least implicitly, promised to support her when he became President and for the years thereafter. Bill’s rejoinder, like the rejoinder of most husbands in this position, is, “That was then. This is now.” With two households to support, the wife is not entitled to the luxury of staying home to care for a child, but must instead seek employment. Typically, the court focuses not on fulfilling the agreement of the parties but, rather, on the effect the agreement had on the parties’ earning capacities. For example, if the effect of the agreement was that Hillary left the job market to raise Chelsea, the court speaking engagements, book royalties, or property may well consider the effect of Hillary’s absence from the job market in fashioning an appropriate maintenance award. If the effect was negative, the result may be longer rehabilitative maintenance, or even permanent maintenance. If the effect was positive, the court may consider the agreement irrelevant. development deals. From Bill’s perspective, Hillary cannot sit and wait for Bill to create income. Hillary also has vast eaming potential from speaking engagements, book royalties, property development, and even cattle futures. Bill’s plans after his second term ends are unclear. He has indicated, as one of the youngest ex-Presidents ever, that he does not intend to play the elder statesman. He may even run for the Senate from Arkansas. Can Bill just sit back and enjoy his retirement? To what extent can the court insist, by imputing income to Bill, that he eam a living? States have different approaches in deciding whether to impute income to a spouse who takes early retirement. See Laura W. Morgan, The Effect of Early Retirement upon Support Obligations, 8 Divorce Litigation 114 (1996); see also Lewis Becker, Voluntary Reduction of lncome Doctrine, 29 Conn. L. Rev. 647 (1997). In some states, a voluntary decision to take early retirement when the party still has the ability to earn income warrants imputation of income. E.g., In re Marriage of Stephenson, 39 Cal. App. 4th 71, 46 Cal. Rptr. 2d 8 (1995); Stubblebine v. Stubblebine, 22 Va. App. 703, 473 S.E.2d 72 (1996). In some states, the court fbcuses on whether the decision to retire early is reasonable given the economic circumstances of the parties. E.g., Deegan v. Deegan, 254 N.J. Super. 350, 603 A.2d 542 (App. Div. 1992); Van Offeren v. Van Offeren, 173 Wis. 2d 482, 496 N.W.2d 660 (Ct. App. 1992). One of the more difficult considerations in maintenance is the standard of living enjoyed during the marriage. Typically, there is insufficient income available for both parties to enjoy the marital standard of living since there are two households to maintain after the divorce. In the case of the Clintons, the issue is even more difficult since the marital standard of living included taxpayer-subsi-dized mansions, jets, yachts, cooks, and servants. Certainly, neither party can expect the other party to pay for this kind of standard of living. Both parties knew that their days of public service were limited, and living at a level within more modest means would be the norm. Thus, the court must consider thc standard of living the parties would have enjoyed had the marriage stayed together. Even in a no-fault state, the law differentiates between marital misconduct and financial misconduct. Most, if not all, states allow a trial court to consider a party’s efforts to preserve or deplete marital assets. Hillary may certainly argue that any gift Bill purchased for Ms. Lewinsky constitutes the dissipation of assets. Although the amount is probably minimal, this would not be the first divorce case to use this type of evidence as a back door to introducing marital fault and casting the offending party in a more negative light. Had Bill been convicted in the Senate and removed from office, Hillary could also have argued that Bill’s actions depleted marital assets in that he lost his salary and pension. Hillary probably has a good argument that many of the debts incurred during the marriage should be Bill’s alone since they were incurred due to Bill’s wrongful actions during the marriage. These debts include (1) the $850,000 settlement to Paula Jones; (2) contingent liability to Ms. Lewinsky; and (3) attorney’s fees arising from the above and for defense during the impeachment proceedings. Can Hillary file an action against Bill and Ms. Lewinsky jointly and severally for their conduct which served as the catalyst for the divorce? In most states, anti-heart balm statutes have been enacted prohibiting such an action. Hillary’s best case lies with emphasizing the debts and obligations that arose out of Bill’s non-marital conduct. Bill’s best case lies with emphasizing Hillary’s innate talents and her ability to become self-supporting. In any event, the case would not be dull. This article originally appeared in Divorce Litigation.